I. Please Choose the correct answer by crossing a, b, c or d! 1. …is in south beach of West Java. 2. Mid Java province borders West Java at …. 7. .Indonesia location is in ………… Asia. 9. Hello my name ......................... Dina. 19. Hello my name ......................... Dina. II. Read the text ! There are many public sings and warnings. For example “don’t litter”, “no smoking”, do not enter”, danger:, etc. “don’t litter” it means that we must throw garbage into garbage can.”No smoking” means that we can’t smoke. “Do not enter” means we can’t enter a place or a room. We can find “danger”sign in building construction. That means we have to stay away from that area. We have to obey all those signs and warnings. Answer the questions based the text. 1. What is the meaning of “don’t litter” from text above? 2. What is the meaning of “no smoking” from text above? 3. What is the meaning of “ do not enter” from text above? 4. where can we find “danger” sign ? 5. What should we do if we see it ? 6. Shoud we obey those signs ? 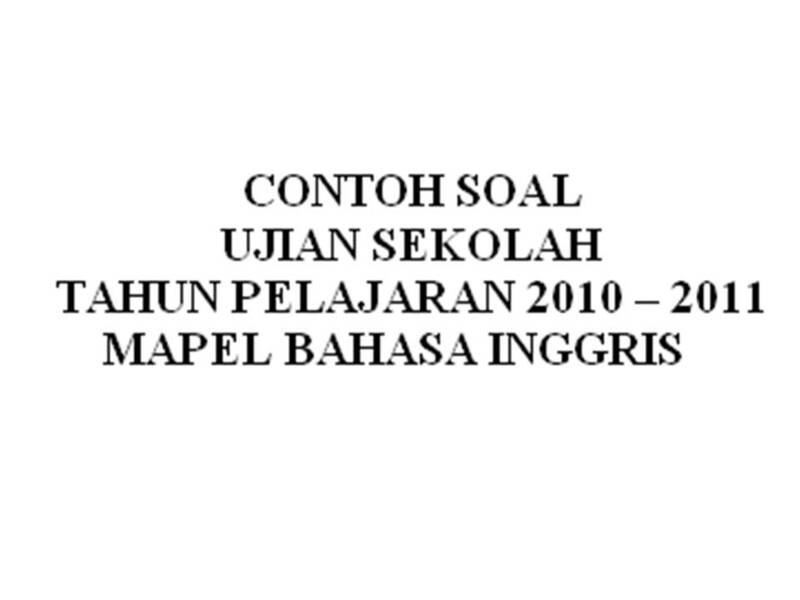 0 Response to "CONTOH SOAL UJIAN NASIONAL KELAS 6 SD 2017 BAHASA INGGRIS BAGIAN 2"